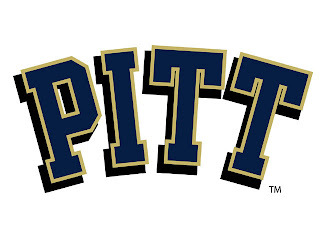 The Pitt Panthers have their highest ranking in 20 years. Pitt is ranked #8 in the AP poll and #9 in the coaches poll. The computers don't have the same love, ranking Pitt #12. There was a lot of Penn State bashing by Pitt fans Saturday night, and rightfully so, but lets see how the season plays out. When the final rankings come out, will Pitt still be ranked higher? I doubt it. As a Penn State fan, I have no problem rooting for Pitt. In fact I probably root for Pitt 85-90% of the time. I will be a huge Pitt fan this Saturday. Pitt fans on the other hand despise Penn State. Most of the Penn State fans I know like watching Pitt so it must be a jealously issue with them. I tend to root for all the schools in my state unless they are playing a Big 10 school. The reason why Pitt is getting no love from the BCS? Look at their only loss. Pitt lost to NC State 38-31. NC State has 3 other wins. They are against Murray State, Gardner-Webb and a bad Maryland team. The Wolfpack also lost at home to Duke. Pitt's highest ranking in quite some some comes after beating Syracuse, the same Syracuse team that the PSU haters ripped Penn State for playing. As for Penn State, when will Darryl Clark show up for a big game? Ohio State had their way Saturday and Penn State's dreams of a return trip to a BCS bowl are now over. Maybe, just maybe, Pitt and Penn State can meet in a New Years Day bowl. Wouldn't that be nice?